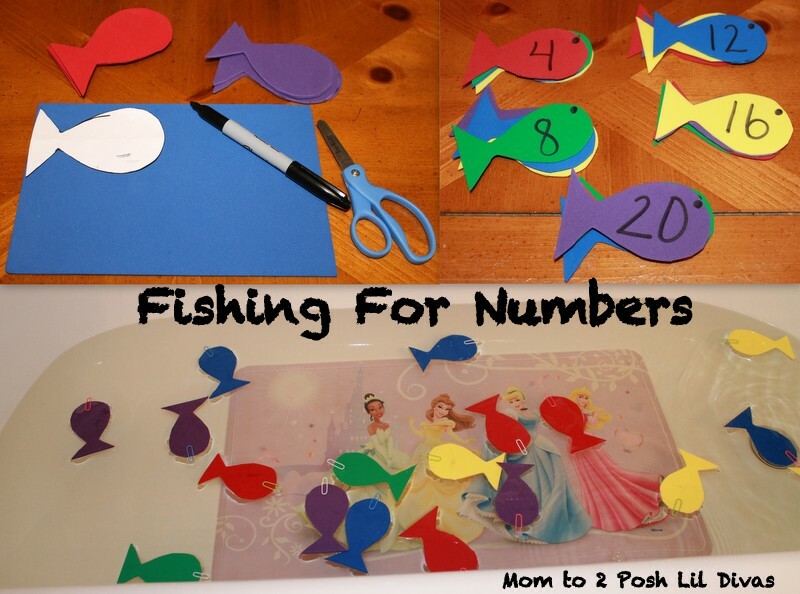 and enjoyed some fish themed math fun. only put it in half way to leave room for hooking. 3. Fashion a fishing rod out of string/yarn and an opened paper clip. 1. Put fish face down into a tub with water. 2. 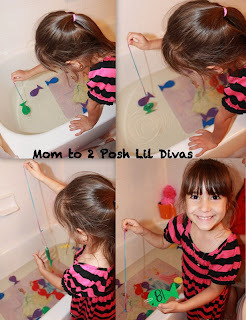 Let child hook fish & pull it out of water. 3. Have child read the number. 4. Repeat until all fish have been caught. 5. 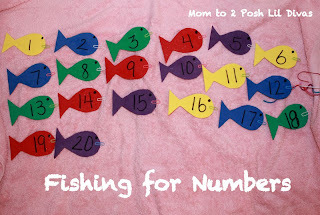 Once all fish are out, have child put them in number order. enjoyed this so much, she was begging to do it over & over again. 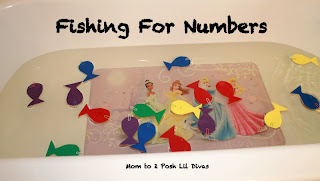 number recognition, counting and number order. the Littlest Diva worked on making various patterns. and others she came up with on her own. in her patterns versus just the colors which was great. 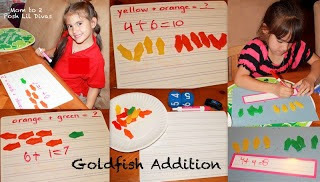 Using swedish goldfish candy we worked on some addition. 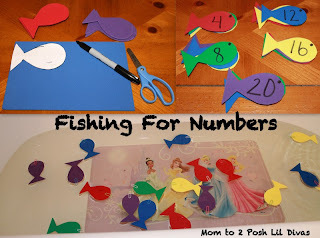 to tell me the total number of fish. 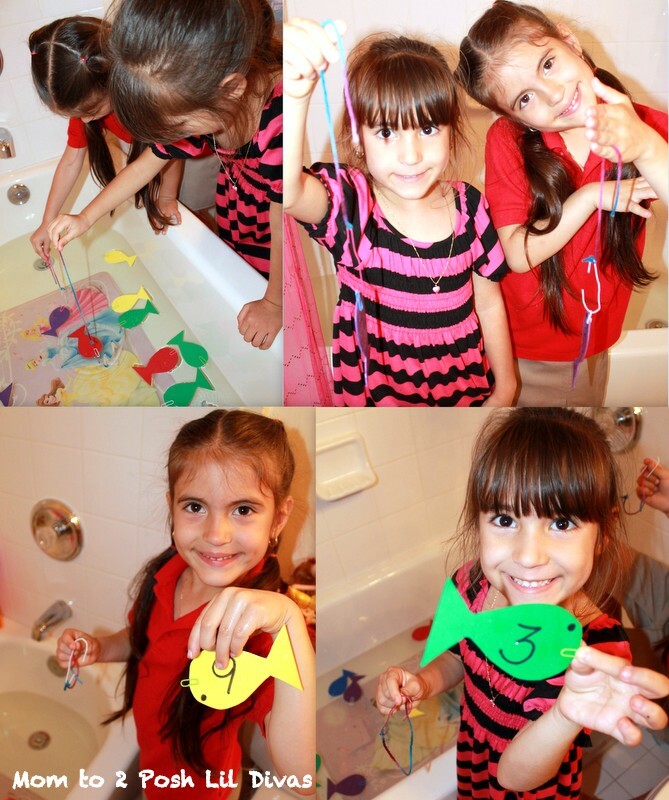 and used the fish as manipulatives to help count the answer. 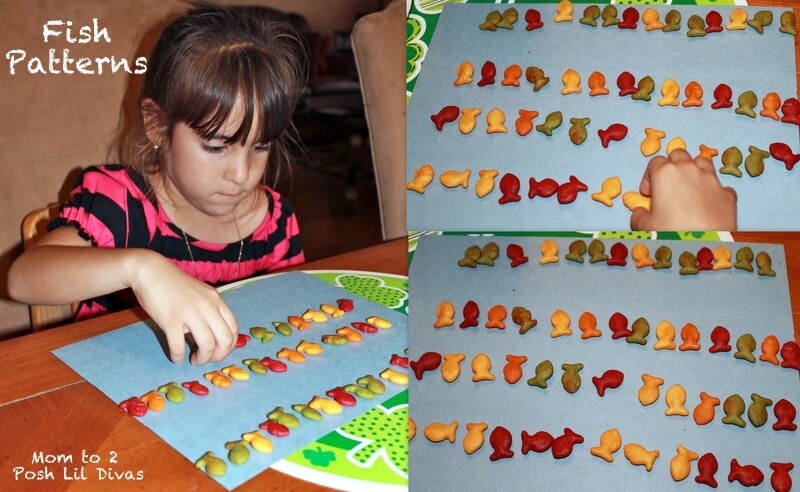 This was a great sorting, counting and addition activity. the Ultimate Happy Birthday Dr. Seuss Linky Party! Love the Number fishing idea! It was such a hit with my 4 year old. She fished for numbers again for over an hour today! So much fun to see her so excited about it & wanting to do it over & over. Super cute! My daughter loves fishing because of her Daddy. I'm sure this will keep her entertained here at home. I *REALLY MUST PLAY A FISHING GAME* with the kids. I keep saying I will and never get round to it. Looks like so much fun and perfect for Dr Seuss week! I did this with my little guys and the loved it! I also added some movement prompts in with the other skills. Such as jump on one foot 5 times or run to the fence and back. They seemed to like the change in pace between the skills and movement. Oh my goodness, this is just what my 2-year-old son asked to do last night! He was using my vacuum hose to "fish" and of course that was a no-no. ;-) I'm going to do this today. Thank you!